Making a purchase could not be easier. Just browse our shop and add any items that you wish to buy into the shopping basket. After you have finished your selection, click on ‘Shopping Basket’ and input the information required to complete your order. By accepting our terms and conditions you confirm that you are the named purchaser and at least 18 years of age.You will be committing an offence if you provide false information. We accept secure payment through Paypal or Braintree Payments from all major credit and debit cards. Alternatively, if you would prefer to pay by bank transfer please email us at orders@specialingredients.co.uk or telephone 01246 906247 to place your order. Please be aware that we will not dispatch your order until funds are received. When confirmation of an order is received, this indicates that we have received the order. We will indicate acceptance of your order and a contract between us when we send an invoice. We ship all our deliveries using a third party Courier or Royal Mail. It is the responsibility of the purchaser to ensure all goods are permitted for import into the country of destination. Special Ingredients accept no liability for goods rejected by Border Customs. Standard delivery is normally 1-3 working days from placing the order Mon – Fri. International orders are normally 2-7 days dependant upon the location. We also offer a next working day delivery for UK orders. We accept no liability for a successfully completed delivery that you do not take possession of. We are delivering to an address NOT an individual. In these cases we will provide you and the authorities with our full cooperation but cannot accept any responsibility. The security of your information, transactions, and money is the core of our business and our top priority. 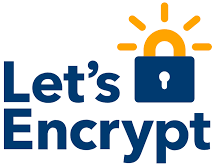 PayPal automatically encrypts your confidential information in transit using the Secure Sockets Layer protocol (SSL) with an encryption key length of 128-bits (the highest level commercially available). Special Ingredients do not disclose buyers’ information to third parties other than when order details are processed as part of the order fulfillment. In this case, the third party will not disclose any of the details to any other third party. Special Ingredients do not store any customer financial details. If you pay over the phone all your details are deleted immediately after processing. Returning Goods -Products can be returned up to 30 days from purchase but must be returned unopened in their original condition and packaging. You will be refunded upon receipt of the order, minus the cost of postage.